“We will miss him terribly,” said Karen Pollock, chief executive of the Holocaust Educational Trust. He was born in 1925 in Austria’s capital, Vienna. His family ran a clothing business but their shop was destroyed in November 1938 during the so-called Kristallnacht (German: “Night of Broken Glass”) attacks in Nazi Germany, which by then had incorporated Austria. Harry’s father was among those arrested but he was later released from prison. After Kristallnacht, Harry’s parents arranged for him and his sister to flee by train to the UK where they would be sponsored by a family friend. They and thousands of child refugees from continental Europe came to Britain under the Kindertransport (German: “children’s transport”) – a rescue effort organised by the UK shortly before the outbreak of World War Two. His parents hoped to join them in the UK, but Harry’s father died of a heart attack in 1940 and his mother was killed two years later at Sobibor concentration camp in German-occupied Poland. Harry later moved out of his sponsor’s house and found work as a mechanic’s apprentice until the end of the war. 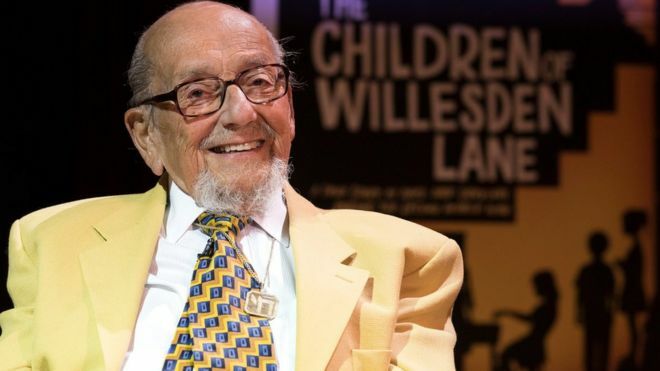 In an interview with the Jewish Chronicle, Mr Bibring said the event was “the most moving day of all time”.